Why a Azure Infrastructure Technician Firebrand Apprenticeship? What is a Azure Infrastructure Technician Firebrand Apprenticeship? Azure Infrastructure Technician apprentices are taught how to support internal and external customers by using tools to problem solve and troubleshoot non-routine problems. They'll understand how to set people up on systems and provides support when they need it, rectifying issues to maintain the organization's productivity. Apprentices on this programme will develop into Azure Infrastructure Technicians, able to deploy, manage, and configure Microsoft cloud services. They’ll get experience implementing Azure Active Directory, including extending on-premises Active Directory domain to Azure. Azure Infrastructure Technician apprentices will also use their extensive Azure knowledge to problem-solve and troubleshoot customers, providing expert support when it’s needed. Successful Azure Infrastructure Technician apprentices go on into roles such as an Azure Infrastructure Technician, Azure Helpdesk Technician, Azure 1st or 2nd Line Support, Azure Infrastructure Technician & Azure Network Support. 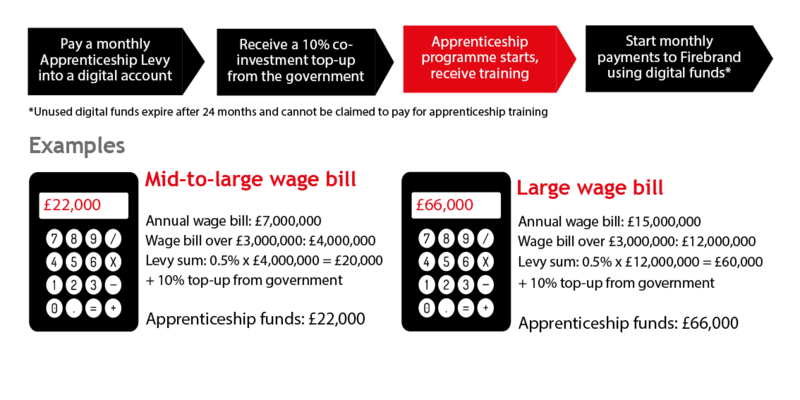 Apprentices must achieve one internationally recognised vendor or professional qualification from each of the five sections. What are the benefits of an Azure Infrastructure Technician apprenticeship? When do Azure Infrastructure Technician apprentices train? Who can enroll on an Azure Infrastructure Technician apprenticeship? How much does an Azure Infrastructure Technician apprenticeship cost? How are Azure Infrastructure Technician apprentices assessed?